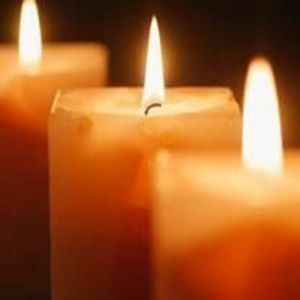 Roland E. Stancil, age 88, of Rocky Mount, formerly of Wilson, passed away Saturday. Roland graduated from Stantonsburg High School in 1947 as Class President and Valedictorian. He joined the U.S. Navy at the early age of 17, during World War II. He was awarded the World War II Victory Medal when honorably discharged from the U. S. Navy. Roland was drafted into the U.S. Army in 1952 and served a tour of duty in Korea. He was awarded the Korean Service Medal with 3 Bronze Stars, the United Nations Service Medal, and the National Defense Service Medal. Roland was honorably discharged from the U.S. Army and was very proud of his military service. After leaving the military in 1954, Roland was employed by the Murphy Body Company for over 40 years. He retired as Manufacturing and Product Manager from Murphy in 1994. During retirement, Roland enjoyed spending time outdoors and with family and friends, all of whom loved him dearly and will miss him greatly. He was a longtime member of First Presbyterian Church, Wilson. Surviving are his wife of 67 years, Raymeta B. Stancil; daughters, Jo Ann Stancil Stallings and husband, John, of Wake Forest and Robin Stancil Walton and husband, Jay, of Wilson; grandchildren, Holly Elizabeth Stallings, Ethan Stancil Walton, and Arran James Walton; and several special nieces and nephews. Roland was preceded in death by his parents, Jack C. Stancil and Amanda Ellis Stancil; a sister, Nellie “Dina” Langley; and brothers, James “Jimmy” Stancil, Sam L. Stancil, Howard K. Stancil, and Bruce A. Stancil. Flowers are welcome and memorials may be directed to First Presbyterian Church, P.O. Box 3184, Wilson, NC 27895.